Welcome to our Finding the Best Boost Mobile Smartphone guide, based on critic coverage, user reviews and expert research. Boost Mobile have established themselves as one of the leading carriers in the US. They are an MVNO (Mobile virtual network operator) carrier that operates on the Sprint network and they offer a large range of current smartphones. The following guides looks at the most popular phones that are locked to Boost’s network, as well as some of the more popular unlocked CDMA phones currently available for the Boost Mobile network. Bringing your own unlocked phone onto the Boost Network is in itself a rather complicated matter, as one can not simply bring an unlocked phone onto the Boost network. Due to Boost Mobile being a CDMA carrier, they only allow specific types of phones onto their network. Firstly, Boost only use CDMA phones (same as Verizon and US cellular), which generally do not have sim cards. They instead save all their customer info on their system alongside the phones IMEI. Their newer phones do take sims, but this is only for the purposes of connecting to 4G networks. GSM carriers save customer info on sims, so it is easy to switch phones (as long as the phone is GSM). GSM phones are what the rest of the world uses as well as other carriers in the US such as AT&T and T-Mobile. CDMA is an older technology, and because Sprint (which powers Boost) is so big, they get phone companies to make phones for the CDMA networks. So with Boost being a CDMA carrier, they only have a select few phones that function on their network, the rest are all specially made for them by phone companies, and therefore locked to their networks. If you are looking to BYOP (bring your own phone) over to Boost, see this list to see if your preferred phone is allowed on their network. They do otherwise allow for a select few Sprint phones to be brought over. See this list of their accepted unlocked Sprint phones. Needless to say, those phones on offer are quite outdated. If this all seems too complicated, then simply take a look below at the phones that will work on Boost. We have selected the Best Carrier locked phones, two Sprint smartphones that can be activated on Boost, as well as two unlocked phones that are accepted on the Boost networks. The 2017 LG Stylo 3 comes with an embedded stylus for use on its large 5.7-inch display. Its Qualcomm Snapdragon 435 processor, which clocks in at 1.4GHz and 2GB of RAM gives you snappy performance, but it will noticeably start to slow down if you have too many apps open. However, it is said to handle demanding games with relative ease, too. The Stylo 3 has a 13-megapixel rear camera and 5-megapixel front camera have been described as unremarkable. The rear camera seems to capture images best in good lighting, but requires a steady hand, as the Stylo 3 has no optical image stabilization. PCMag.com has pointed out that the front camera is decent for selfies and videos chats, but it has a tendency to soften up the overall details of images. Its slim 16GB of internal memory is expandable to 256GB and it comes with the Android 7.0 Nougat OS. Its plastic construction is said to feel solid in hand and it has a 3,200mAh battery that is removable, meaning that you do not have to replace the entire phone when the battery dies. Its fingerprint scanner is super responsive and CNET.com does say that the stylus has a narrower fiber tip that is more sensitive, giving a more natural pen feel and offering a finer point of contact. 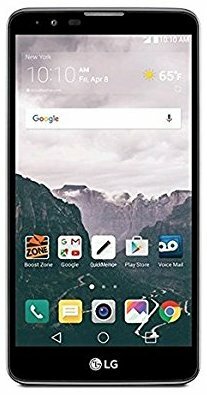 Be aware that boost mobile phones are also loaded with bloatware, which further eats into that already slim 16GB of internal storage space. 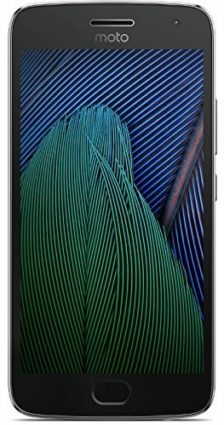 The LG Stylo 3 is a solid mid-tier smartphone that is decent at multitasking and handles demanding games well, but its large 5.7-inch screen is only 720p and the lack of NFC and average camera quality may discourage some buyers. Samsung’s newest addition to their already line of stunning phones, the Galaxy S8, is really a beautifully designed smartphone. 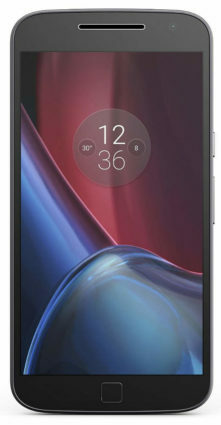 The 5.8-inch QHD AMOLED display screen covered in Gorilla Glass 5 cascades into the metal polished aluminium frame, which used to be limited to the Edge and Edge Plus. Its tall and narrow design gives it dimensions of 18.5:9. The US version (this particular model) of the S8 comes with the Qualcomm’s Snapdragon 835 chipset, while the international version comes with the Exynos 8895 processor. While both these processors are superior in terms of performance, benchmark tests have shown the the Exynos 8895 is quite a bit faster than the Snapdragon. Check this video by PhoneBuff that gives a more in-depth explanation on the differences. The 4GB of RAM will ensure exceptional day-to-day performances. It runs Android 7.0 Nougat and it is rated IP68 water and dust resistant. It has an included USB-C port and the wireless charging, although not as quick as the charging through the USB-C, is still pretty convenient. The rear camera is a dual-pixel 12MP while the front “selfie” camera is 8MP. The 3000mAh was found to last around 16 hours according to CNET.com. The included 64GB of internal storage may be too little for some, but it is expandable to up to via MicroSD up to 256GB. The finger scanner has been placed on the back of the screen near the camera, which is a rather awkward position. Samsung’s Galaxy S8 is a beautiful phone with it’s Infinity 5.8-inch QHD AMOLED display and it really is a workhorse in terms of performance thanks to the Snapdragon 835 chipset. 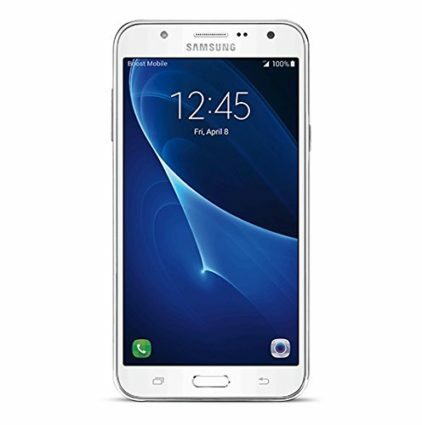 The Samsung Galaxy J7 is a midrange smartphone that has a large 5.5-inch HD Super AMOLED Display that may only be 720p resolution, but its rather strong pixel density of 267 pixels per inch does produce clean and sharp looking graphics, icons and text. The Qualcomm Snapdragon 617 and the 2GB of RAM drives smooth performance for managing multiple apps and PCmag.com points out that it’s perfectly capable of handling higher end games comfortably. The battery life is plenty thanks to the 3,000 mAh removable battery and it has an Ultra Power Saving mode that kicks in when the phone reaches 10 percent of its battery life, setting the phone to black and white, allowing for significantly longer usage. The 13MP Rear Camera is able to capture some fairly clear shots, but some reports of detail loss have been reported, with some finding that the quality is not comparable to the S5, S6 and S7. It comes with a front camera of 5 megapixels for all your selfie needs, and it runs Android 6.0.1 Marshmallow software. Some bloatware has been reported, which will reduce the already slim 16GB storage space somewhat, but it does come with a microSD slot for storage expansion. The Samsung Galaxy J7 may have lackluster cameras, but in terms of performance, it offers a great bang for the buck when compared to competitors in its price range. The Samsung Galaxy J7 is a solid contender for the best mid-range smartphone available today with its smooth performance on both day-to-day tasks and gaming, but the mixed reviews the camera received may put some off. The LG X Power stands out for its powerful 4,100mAh battery. Many users pointed out that the X Power can last up to two days on a single charge with light usage, and it easily lasts a day of heavy usage, taking around 2.5 hours to fully charge again with its fast charging capabilities. 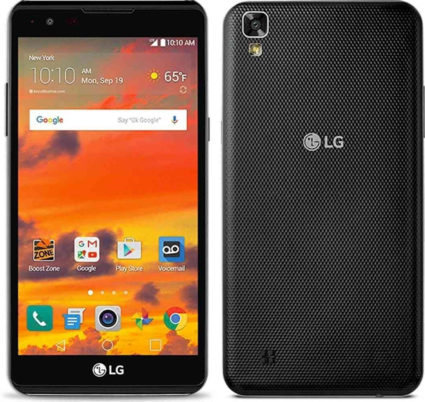 The Boost mobile version of the LG X Power makes use of MediaTek’s helio P10 chipset, coming with an economical 1.8GHz octa-core processor and the Mali-T860 GPU. It has a 5.3-inch IPS LCD 720p display and a slim, lightweight design of 4.9 ounces. The design by no means turns heads, as the bezels are fairly thick. It includes an 8MP rear camera and a 5MP front camera, but both are said to be average at best. The rear camera struggles in both good and bad light according to a review by PCMag.com, often reproducing blurry or noisy images, while the front camera seems slightly more focused outdoors in well-lit conditions. It runs Android 6.0.1 Marshmallow and it unfortunately comes with quite a bit of bloatware, stretching the already limited internal storage space of 16GB. Fortunately it is expandable up to 256GB by way of the provided microSD slot. The 2GB RAM allows for fairly snappy performances, but with too many tasks open, you may start to see some lag. The LG X Power has a beast of a battery that performs really well considering its low price, but the 16GB internal storage is fairly limiting considering the added bloatware. The LG X Power’s bloatware and 16GB of internal storage space are slightly annoying, but it has one of the longest lasting batteries available and performs pretty well at a very reasonable price, easily outcompeting some of its mid-range competitors. 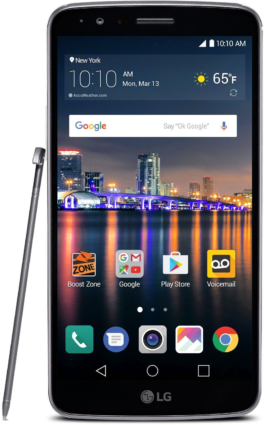 Like many smartphones in its price range, the LG G Stylo 2 suffers from several compromises. First off, its casing is made entirely of polycarbonate and other than a metallic-looking plastic border along the sides, nothing about the design will turn heads. Even more uninspiring is the 5.7-inch IPS LCD, whose 1280 x 720-pixel resolution is on the low side for such a large screen. The output from the tiny back-facing speaker is hardly enough for any circumstances, and the 13MP camera performs fairly well but is nothing special. When you put aside all these misfortunes, things start looking up for the G Stylo 2. The included soft-tipped stylus makes it easy to navigate the large screen and because it feels right in hand, taking notes is a pleasant experience. The phone also comes running Android 6.0 Marshmallow, which is a rarity among budget handsets. You will hardly enjoy the software, however, given LG’s dense custom UI, which removes the app drawer and alters nearly everything else. There is also a horde of bloatware from both Boost and LG, which not only makes the interface more cluttered but also squeezes your internal storage from 16GB to a mere 8.5GB. The Stylo 2 is powered by a mid-range Snapdragon 410 1.2GHz processor and 2GB of RAM. You will not get any lag and slowdowns when handling most apps and multitasking, but gaming is only limited to the lesser demanding titles. The phone ends things on a high, with a battery that easily gets through a day of normal usage on a single charge. HTC have always been known for making top-class devices but if we’re being honest, 2015 was not their year. It’s HTC One M9 was not the flagship we were all expecting, and even their fallback, the mid-range HTC One A9 didn’t quite get the wheel turning again. Nonetheless, it is still an impressive smartphone for the price. The design is far from unique, and you don’t need to look too closely to see just how much the A9 resembles Apple’s iPhone 6 and 6S. That said, it plays the imitation pretty well, with a well-refined metal casing and a thin, light feel which makes it very comfortable to hold. It is unusual for HTC to fit an AMOLED screen on its devices but the A9 has one; a 5-inch, Full-HD panel, which produces rich blacks, punchy colors and excellent contrast. The brightness can be a little inadequate while in the sunny outdoors, and the whites do look a little washed out and gloomy, but all these are tolerable. While Android Marshmallow is now in many devices, the HTC One A9 was the first to come shipped with it. HTC Sense, being one of the few actually good custom interfaces integrates well with Google’s latest OS to provide a very intuitive and enjoyable Marshmallow experience. Thanks to great optimization, everything runs smoothly, despite employing a rather modest Snapdragon 617 CPU and 3GB RAM. The 13MP rear camera also performs well as long as it is nice and bright outside, but nothing can help with the battery, which only averages about 8 hours of life on moderate use. The HTC One A9 may not have a lot going for it and many will call it overselling to put it among the best budget smartphones. However, if you’re a fan of HTC devices, you will definitely appreciate the value it offers. The Samsung Galaxy S7 features a premium design using both metal and glass, but still feels much like its predecessor, the Galaxy S6. It features a 5.1-inch Super AMOLED display with a resolution of 2560 x 1440 pixels. The size of the smartphone makes it comfortable to work with, and easy-to-carry while traveling. The flagship stands-out with great performance of the hardware configuration. The international version of the S7 is packed with an octa-core processor with Exynos 8890 Octa chipset courtesy of Samsung. It supports dual SIM. The variant for North America works with a Snapdragon 820 chip Dual-core 2.15 GHz Kryo & dual-core 1.6 GHz Kryo. It is coupled with 4GB RAM. The included memory by default in the phone is the modest 32GB. Fortunately, the Galaxy S7 boasts a microSD slot for expansion of the memory with up to 200GB of storage. One of the strongest selling points of the flagship is the rear 12MP camera with a dual-pixel tech usually applied for DSLR cameras. It includes an abundance of features and capabilities, such as OIS, a LED flash, phase detection autofocus and etc. The front-facing camera is a 5MP sensor with an LED flash perfect for low-light conditions. The battery included in the S7 is with a capacity of 3000mAh and it supports wireless and quick charging. The phone runs on Android 6.0 Marshmallow by default. A fingerprint sensor is embedded in the home button. The Samsung Galaxy S7 features a premium design with a powerful Exynos 8890 Octa chip, a great 12MP rear camera and a 3000mAh battery. On the surface, the Samsung Galaxy S5 doesn’t look much different from its slightly shorter predecessor, the S4. It has the same curved rectangular body with a 0.1 inch larger 1080p screen at the front. Its rear cover with tiny dimples and matte finish makes it look more sophisticated and less of a fingerprint magnet that the S4. The firmly snapping cover indicates that the S5 is also water resistant and dust proof. Its design upgrade includes a USB 3.0 port at the bottom just like on the Note 3. The 5.1 inch AMOLED screen is as clear as ever showcasing HD videos and images in all its glory with rich colors and high contrast. 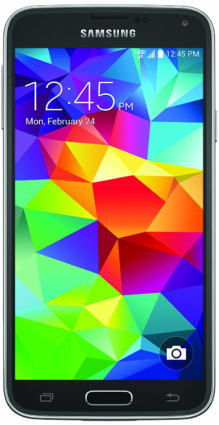 The GS5 runs the latest Android 4.4 KitKat with Samsung’s TouchWiz UI. Some useful software extras include the Ultra power-saving mode which when turned on can give you 24 hours of power even with only 10 percent of battery remaining. The download booster feature combines your Wi-Fi and data connections for enhanced download speeds. Power users won’t have any problem with what the S5 is packing under the hood. Its 2.5GHz Quad-Core processor is top of the line and beats many of its rivals in real world benchmarks. Coming from the S4, users will definitely experience smoother navigation and faster app loading times. Samsung has incorporated the latest co-processor and sensor technology into its 16MP camera, which is capable of taking clear images even in low-light. While the Galaxy s5 may be older, it still offers a competitive performance compared to other mid-tier phones being released today. The 2015 S6’s premium design is characterized by smooth Gorilla Glass 4 on the front and back, and the sides are stylized by aluminum alloy bands. The phone is thin and light, but still feels solid, and because of slimmer bezels, it is more compact than the iPhone 6 despite having a larger screen. Now that we’ve mentioned it, the 5.1-inch Super AMOLED display rocks a 1440 x 2560-pixel 2K resolution which amounts to an exemplary 577 ppi pixel density. Watching anything on the S6 is a delight, thanks to high contrast, vibrant colors and deep blacks. Out of the box, the Galaxy S6 runs Android 5.0 Lollipop integrated with TouchWiz UI. Samsung brings a couple of useful features to the table, such as the fan-favorite multi-window mode and Sprint is also relatively cautious with bloatware. Overall, the software experience is helped a great deal by a high-end hardware set, which includes Samsung’s own Exynos 7420 Octa CPU and 3GB RAM. Offering remarkable picture quality, good low-light performance and split-second auto-focus, the 16MP rear camera is yet another selling point of the S6. That said, the relatively small 2550mAh might not live long enough to get you all the shooting time you need unless you keep power saving mode on at all times. 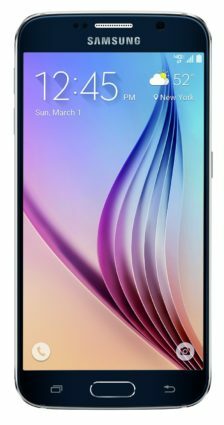 Thanks to a significant reduction in price since its release, the Galaxy S6 offers very good value as well, but the 32GB storage is limiting, especially since there is no included microSD slot. In 2016, Lenovo has given us not one but two Moto G budget smartphones; the G4 and the G4 Plus. But while you might expect an increase in screen-size to come with the Plus version, both of these devices are sized exactly the same. The design isn’t any different either and save for the small fingerprint sensor at the bottom of the screen, it is still the same simple device. Like with the Moto G4, if you prefer a small phone which you can easily slip in your pocket, this device is definitely not for you. For those who can handle it however, you get a delightful 5.5-inch Full-HD screen which is bright, colorful and needle-sharp, this makes it an amazing phone for watching videos, browsing the web and playing games. Leaving the screen aside, the software is another strong feature of the Moto G4 Plus. Like in the standard G4, Android 6.0.1 runs things here, Lenovo has opted for the clean stock Android interface with only few but useful additional software features. Equipped with a Qualcomm 617 CPU and 2GB of RAM, the G4 Plus is a snappy device. Apps open up instantly, animations are smooth and multitasking is often effortless. Save for a little drop in frames, even heavy games like Asphalt 8 run pretty smoothly and with decent loading times. Undoubtedly, the biggest upgrade from the standard Moto G4 is the camera. This device ups the 13MP sensor to 16MP, with the added benefit of phase detection and laser autofocus. It might not seem like a significant upgrade on paper but practically, you will find a great improvement in both detail and color accuracy. That said, the battery is the same 3000mAh cell, averaging a cool 16 hours of life on normal use. The 2017 Motorola G5 Plus has been described as the “best budget phone on the planet” by CNet.com, and it is not hard to see why. It has a neat metal body with a 5.2-inch IPS LCD Full HD screen. Some reports point to issues with the adaptive brightness, finding that the screen can either get too bright or too dim at times. This wasn’t the end of world for most, with users manually adjusting the brightness instead and turning the adaptive brightness off. The most notable aspect of the Moto G5 Plus is its 12MP IMX 260 sensor, which is similar to the Galaxy S7. It allows for some fairly accurate picture taking, except it seems to struggle a tad in low-light conditions, creating quite a bit of noise. The fact that it does not have image stabilization means that the low-light shots take a hit. The front camera is 5MP and takes wide-angle shots. The Snapdragon 625 processor is very efficient, and coupled with the 3GB of RAM, the phone is able to run most things pretty smoothly. Thanks to the efficiency of the processor, the G5 Plus is able to run on a single charge for around 13 hours, which is more than enough for those who are looking for a phone that lasts an entire day – a rarity in these times. Some reviewers we rather disappointed with the lack of NFC, however, but NFC does seem to be reserved for higher end phones. It runs Android 7.0 and is bloatware free. The Amazon Prime exclusive comes with lockscreen ads and offers if that is your thing. The fingerprint scanner is said to be efficient and quick to unlock, and it also doubles up as a one button navigation system. Motorola's G5 Plus is a top contender for 2017's best budget smartphone thanks to its solid performance and excellent battery life, but ts average camera and speaker quality could frustrate some.